Middelbare school docent start skeptische groep - Kloptdatwel? Het onderstaande verhaal werd voor zover ik weet voor het eerst gepubliceerd op het forum van de Skeptics Guide to the Universe. Ik vond het dermate inspirerend dat ik het integraal reproduceer. I’m a maths teachers at McKinnon Secondary College in Melbourne, Australia. For the past few months I’ve been running a sceptical society for my students and I thought I’d let you all know how it’s been going. In the December last year I was lucky enough to see Rebecca Watson and Brian Dunning speak in Melbourne. While they were great speeches (Rebecca’s were hilarious) the thing that really got me was Richard Saunder’s demonstration of how the power balance bracelet scam worked. I had seen them before but never paid much attention. I was shocked to hear that they cost around $60, given how many students I saw wearing them. Teachers too, unfortunately. Well, sports teachers anyway. The next week I showed all seven of my classes Richard’s demonstration with great success. Quite a few of the students were amazed at how it worked and there were even a few converts. This showed me first-hand how much good could be wrought from these demonstrations and led me to create the McKinnon Secondary Sceptical Society (MSSS). We would meet once a week, on Friday lunchtimes to discuss matters sceptical. The response was amazing. I was approached by dozens of students during the week asking me questions about scepticism and promising to come to the first meeting. I had teachers come to me for conversations. What was amazing was that I was getting people from all camps. People telling me what a lot of crap they thought certain pseudosciences were and people telling me that they have prophetic dreams. Teachers that I have never spoken with before wound up having long conversations with me about seeing James Randi getting abused by Don Lane back in the 80s on Australian television. Teachers that I had a lot of respect for started telling me about the psychic link they share with their mother because they finish off each other’s sentences. For good or for bad, I had become the go-to guy for all matters paranormal. 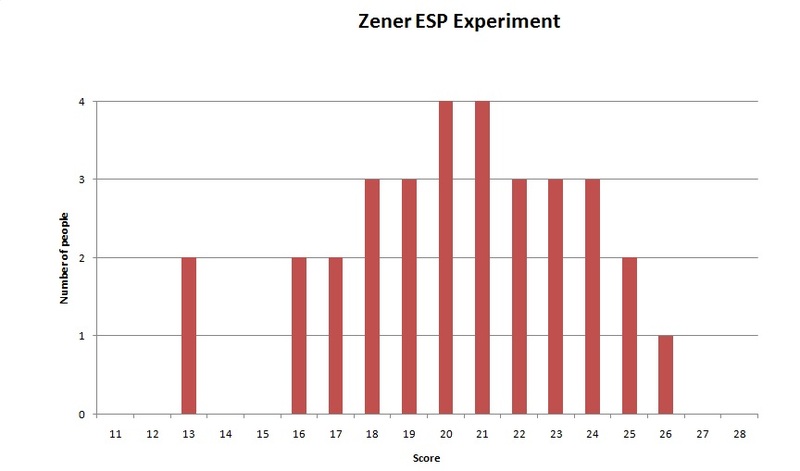 Our first session was a mass attempt at Zener’s ESP experiment which I called the ‘Psychic Challenge’. I would split the students into groups of 3 and had made up enough cards to allow for 30 students. After the response I received I decided to double that number. On the day however I realised that I had underestimated when over 100 students showed up! I wound up having to run three separate sessions just to fit everybody in. The final result was wonderful, a near perfect bell curve! We spent the next couple of sessions talking about psychics and how they work. I prepared a PowerPoint presentation which took almost an hour to get through due to so many questions from the students. They loved the idea of rumpology and very quickly started to hate Sylvia Browne. After the these sessions I found the numbers of students dropping down to a more manageable 30 – 35. I was actually grateful for this, 100 would have been too much to handle on my own. I had to enlist other teachers to help run the Psychic Challenge. Out of these, around 20 are regular attendees. The rest of the students get brought along by friends or show up because they’re particularly interested in the current topic. It’s great seeing such a mix of students come through because it’s really helping spread the word. Incidentally, the majority of my students come from the junior school, being around 12 – 14 years old. Not all of them are sceptics, either. I have a few creationists coming along, some students who believe in ghosts and even a moon-landing denier. This has created some really interesting and beneficial conversations, although I have to tread very carefully when the topic moves on to religion. Around this time Harold Camping was in all the news so our next topic was, predictably, the end of the world. I started by teaching them some of the history of apocalypse predictions and making fun of them. Right when they were convinced that the whole topic was a funny one, I told them about the Heaven’s Gate cult. All of a sudden they were sitting up in their seats, listening intently with looks of horror on their faces. Almost all of them had heard of people like Nostradamus but Marshall Applewhite was new to them. I had originally thought that each topic would take a week to cover, but I soon learned otherwise. The students are incredibly curious and typically bombard me with so many questions that it can take several weeks to get through a topic. I consider this to be a very, very good thing. Our next topic was logical fallacies. Again, I put together a PowerPoint presentation. It took three weeks to get through the slideshow alone with all the questions. They really enjoyed this topic and were constantly interrupting me with examples of fallacies they’ve seen before. They hadn’t known what they were at the time, they just knew something was wrong with them. Since then students have emailed me various articles they’ve found around the place and pointed out the logical fallacies in them. Between set topics we’ll have a couple of weeks of free discussion. These have been wonderful as they’ve allowed to students to bring up matters that are specifically important to them. They often want to discuss mainstream topics like astrology and ghosts but will occasionally bring up more philosophical matters. One week was spent discussing whether or not you should teach your children about Santa. Our latest topic has been homeopathy. None of the students knew what it was, other than having seen signs for it on various alternative medicine centres (of which there are a lot in the neighbourhood). So far, my favourite moment in this entire production has been the looks of bewilderment and disgust when I explained exactly how homeopathy ‘worked’. They simply couldn’t believe that anybody could believe in something so stupid. We spent a couple of weeks on this topic with students asking why the government hasn’t stepped in to stop them and what can we do to educate people about it. I have been totally thrilled by the response from my students and am really proud of them. Some of our future activities will include creating fake pseudosciences and performing experiments on astrology and dowsing. Richard Saunders has a video of him testing whether people can tell if they’re being stared at and I plan on doing that as well. I would also like to have some guest speakers along, possibly even international ones via Skype (I’m looking at you, SGU…). Friday lunchtimes have quickly become the highlight of my week and I cannot wait to see what the future will hold. One of my goals is to involve the students in some kind of sceptical publicity stunt and get some media attention. It’s wonderfully being able to reach some many students but I really want to push scepticism out into the community as well. Deze alinea vat precies samen waarom dit hele initiatief zo fantastisch is. Zalig en hoopgevend om te lezen! En jammer dat ik zoiets als leerling in de middelbare school nooit heb mogen meemaken. In onze Flink Katholieke school was stilzitten de hoogste deugd en kritisch denken betekende voornamelijk zwijgend luisteren naar een uitgebluste, murmelende oude vent met of zonder alcoholprobleem. Lucky bastards daar in Melbourne!